When Mike Weinberg, a Forbes Top 30 Social Sales Influencer, started working with a client in Texas, he ran into a challenge. “They wanted a significant number of new customers, and placed very aggressive goals on the sales team,” he said. Weinberg, the author of New Sales. Simplified and Sales Management. Simplified, helped the client come up with an activity metric: 60 outbound calls per rep per day — “a very reasonable number,” he said. Yet, week after week, the sales team failed to meet the goal. Selling was a small part of the sales team’s job. “The No. 1 issue that gets in the way of developing new business: People in charge of selling don’t spend enough time selling,” Weinberg said. Randy Riemersma, president of the sales training company Span the Chasm, agreed with Weinberg. By focusing a client’s sales team on the right metrics, Riemersma helped his client increase the average selling price by about 13%. 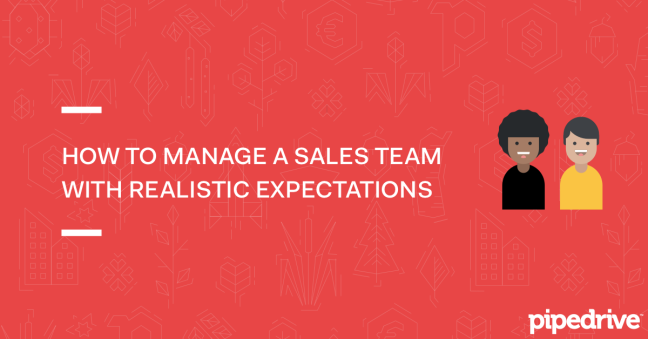 Here are Weinberg and Riemersma’s top tips — to help you get realistic and create a sales culture that brings in the money. Weinberg said sometimes the attempt to stay lean hurts your bottom line. “I see companies where salespeople are on the safety committee and operation jobs,” he said. In the Texas company he consulted, salespeople were responsible for, among other things, shipping paperwork, picking international orders from the warehouse and answering customer service calls when customer service agents were busy. This enables the salespeople who want to avoid prospecting and closing — another common issue Weinberg sees in companies. To overcome this, “management has to agree that selling is the sales person’s primary job” and clarify it to the team, he said. According to Riemersma, your sales team needs to focus on no more than three goals: Protect and grow deal size, shorten sales cycle time and increase close rates. When Weinberg convinced the Texan CEO and general manager to let their sales team do what it was hired to do, the sales team exceeded the aggressive growth goal it was given. “Organizations don’t have metrics at all, or they’re measuring too many metrics,” Riemersma said. His client (mentioned above) initially measured his team based on 12 metrics. The salespeople had no idea what to focus on first, and morale was low. What percentage of leads turns into pipeline? What percentage of pipeline turns into opportunity? What percentage of opportunity turns into closed deals? How long does it take your team to move from one stage to another? Focus on gradually improving each of these metrics, and get proactive about driving results. “Most people get it backward,” Weinberg said about companies’ insistence to focus on activity metrics first, like how many calls a salesperson makes. It’s a practice that frustrates salespeople because it feels like micromanagement, and takes the focus away from the results they bring to the company, he said. If the results are great, encourage the salesperson to keep doing what he’s doing. If her pipeline is healthy, the salesperson has “a million opportunities and it looks like business is coming, I don’t have to talk about activities,” Weinberg said. That doesn’t only mean to see how many calls your salesperson makes. Riemersma recommended reviewing the quality of prospects salespeople are reaching out to, and how they’re communicating value. If 80% of your salesperson’s calls are to those unlikely to buy, or if the salesperson is not communicating your product’s value the best way possible, Riemersma said it’s time for a change. He added that we need to talk to an even larger amount of people, because not every call leads to a proposal submission. To successfully reverse-engineer realistic metrics, you need to know which percentage of your revenue comes from which salesperson, how long is the average sales cycle per salesperson, and why some salespeople on your team do better than others. For example, are they newer to the profession or your company? Did they work on a different prospecting channel or on more challenging-to-close leads? Were they given too many non-sales responsibilities? Before you give up on growth or invest resources to expand your team, go back to the beginning of the article and make a list of action items to help you sharpen your focus. For Riemersma’s client, dropping most of their 12 metrics did the trick. The only goals that mattered were to protect and grow deal size, shorten sales cycle time and increase close rates. The clear focus on sales led to setting realistic expectations and metrics, which drove growth in one year: Average selling price increased from $32,000 to $36,000, the average sales cycle time decreased from 94 days to 78 and close rate increased from 4.6% to 6.2%. Now it’s your turn. Analyze your team’s results and sales activities, get clear about the most important metrics and start prioritizing sales in your company. Then, clearly communicate your action plan to your team, including your specific expectations from each salesperson and explain how you’re going to help them succeed.